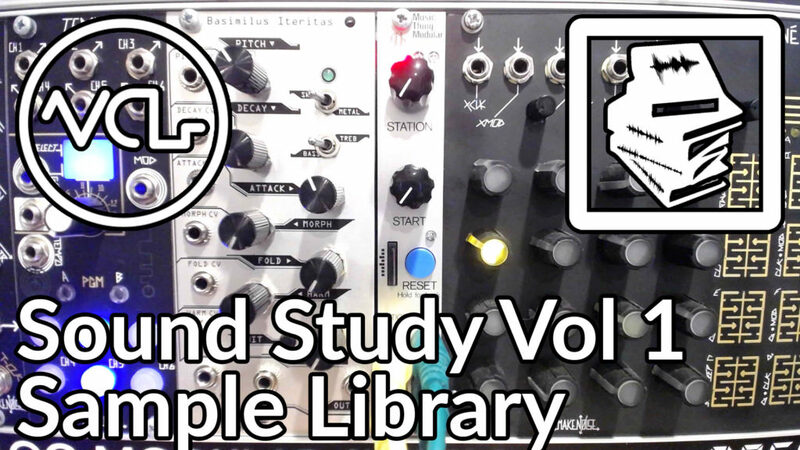 This is the first volume in our open source sample library series, the Voltage Control Lab Sound Study. We have challenged our students to create at least 10 new samples with either their modular synth, field recording of found sounds or pretty much any other method available. Volume 1 features work from a number of our students, who have each created some really fantastic samples! This series was inspired by the Music Thing Radio Music by Tom Whitwell, so our first installment is formatted in both Radio Music-friendly RAW format as well as high quality WAV format. The samples are arranged into separate folders for both formats. Links can be found above. Five students and I (Computo) took part in this first volume. You will find 6 folders in the unzipped download folder, organized by artist. “The samples are all recorded from my eurorack/modular synth other than a couple recordings from the Moog Mother 32 which is then processed thru the rack. All of the final outs are then ran thru my UAD Apollo 8 interface to utilize its preamp emulations. All of which is then recorded into ableton and chopped up into individual samples. No processing done at all in the computer with these. They’re all basically a bunch of random snippets from layers of beats i have recorded over the past year.